My cherry berry wine has been in the primary fermenter for 11 days. It’s been 4 days since any significant activity was seen in the airlock and I think it’s time to rack it to secondary. Most country wines don’t benefit from spending much time on the lees — the winemaking term for the yeast sediment at the bottom of the fermenter. In beer, we’d call it trub. The day I made the wine, I added 1 Campden tablet per gallon (3.8 L) to the must (the unfermented wine). This should have added 66 ppm sulfur dioxide (SO2) to the must, initially. When you add potassium metabisulfite (the active ingredient in Campden tablets), it releases some sulfur dioxide SO2 gas, the so-called free SO2. The rest of it remains dissolved, in one form or another, in the must. The percentage of the metabisulfite you add that ends up being released as free SO2 depends on the pH of the wine. The lower the pH, the less metabisulfite is needed to protect the wine. I didn’t take my initial must pH, so I don’t know what percentage of the 66 ppm SO2 existed as free SO2. Now that fermentation is done, the SO2 level should be much lower again. So when I rack the wine, I will add more metabilsulfite to prevent to wine from browning (due to oxidation). This will also keep the wine from undergoing malolactic fermentation, a secondary fermentation that can happen in which malic acid gets converted into lactic acid. This fermentation is encouraged is most reds — in fact winemakers often icoculate the wine with the species of bacteria that ferments the malic acid — but discouraged in almost all whites and fruit wines. My target is to achieve a level of 50 ppm free SO2. Now, the proper way to add metabisulfite when racking is to test your wine for its free SO2 level, then calculate how much to add to reach your target level, given the pH of your wine. The method cited in most books on making country wine is much simpler, however — add 1 Campden tablet per gallon each time you rack. Although this is a much less scientific approach, I’m going to take it on my cherry berry wine today for a few reasons — 1.) adding this amount should get me to a minimum level of protection, even if my current free SO2 levels are very low 2.) even if I overshoot the optimal free SO2 level, which is much more likely, a little extra free SO2 isn’t going to hurt at this stage and 3.) I’m feeling lazy on this Sunday. For later rackings, I’ll use a cheap method to get a ballpark reading of SO2 levels (Titrets), measure my pH and do the actual calculation. Free SO2 levels can rise to wine-ruining levels if you rack often and the wine isn’t losing much free SO2 between and during each racking. However, for my first racking, the simple rule of thumb — one Campden tablet per gallon (3.8 L) at each racking — will suffice as it’s overwhelmingly likely that I’ll fall within a respectable free SO2 range. And if I am off, I will mostly likely be a little high and I can just let the level fall on subsequent rackings. I’m a big fan of doing things right the first time. But, I’m also a big fan of useful rules of thumb — especially when you have some room for error, as is my case at this stage. So . . . I’m off to rack my wine. Would this process work to prevent infection/protect from oxidation for mead as well? Good question. Yes, you can add sulfites to a mead just as you would with a white wine (or country wine) and they will work in the same fashion, limiting the possibility of contamination and protecting the mead from oxidation. 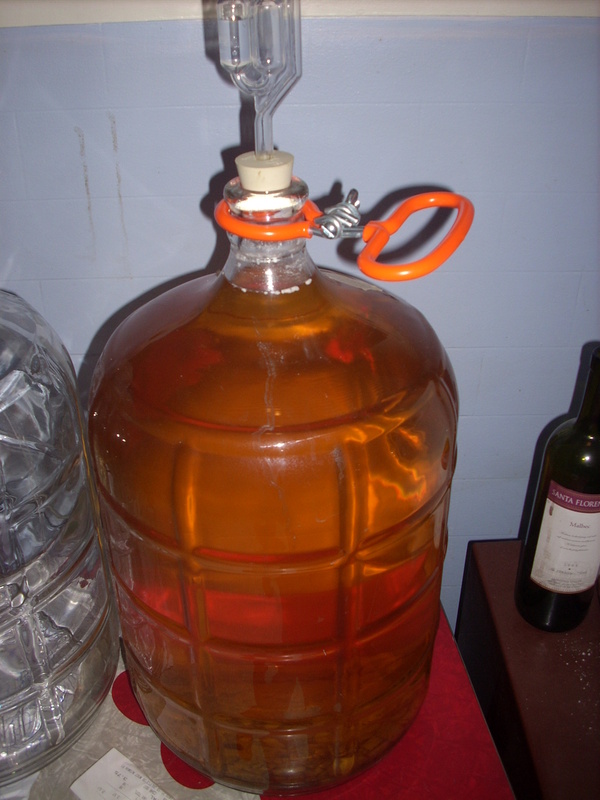 In a fruit mead, sulfites can bleach the color a bit. They aren’t needed, but yes — when making meads you can use sulfites exactly as winemakers do when making wine. Hello, this is my first time to make homemade wine. I’m concerned because I did not add the campden tablets and let sit for 24 hours before I added the sugar and yeast. I added it all together and sealed the air lock. Also, I added one tablet for three gallons. It’s been a little less than 24 hours since and it’s gurgling away. Is there still hope for my wine? Concerned about bacterial growth etc.